They are calling for our first measurable snowfall tomorrow, about 3-6 inches of the white stuff is predicted to fall and it’s not even Thanksgiving! With the El Nino they’ve predicted that we’re supposed to get less snow than usual but I cannot remember a time when we got a measurable snowfall before the Thanksgiving holiday. Thankfully, we’re prepared for the snowfall! We received our Snow Joe iON Hybrid Snow Blower and it’s waiting with bells on to throw its first pile of snow. We’ve had an electric snow blower but what is cool about the Snow Joe iON Hybrid is that it can be used plugged in but also has a battery so you can go cord free. With our electric when a lot of snow falls sometimes the cord gets buried in the snow as you go so it’ll be nice to have the cord free option. If you’re shopping for a snow blower this winter season here some great information to help you compare a gas vs a electric snow blower. Most offer push button starts (I hate pull cords!). Typically they are more affordable than gas snow blowers. Some can’t handle large amounts of snow. More durable than electric snow blowers. No electrical cord to get in the way. They’re loud – very loud. Pull-start cords are a pain – at least if you’re a weakling like me. A hybrid snowblower is a mix of electric and a battery. Meaning you get all the benefits of the electric snow blower without the risk of running over the cord if you choose to use it in battery mode. The Snow Joe iON Hybrid has a 40V lithium ion battery that lasts for more than 50 minutes, while the cord provides extended clearing time or back up for when the battery has not been charged. The Hybrid can plow 500 pounds of light and fluffy snow per minute, but it is not meant to compete with a gas-powered unit and is not intended for the same kind of heavy use. Stay tuned for my review of the Snow Joe iON Hybrid and see how it handles the Michigan winters! Are you prepared for winter? 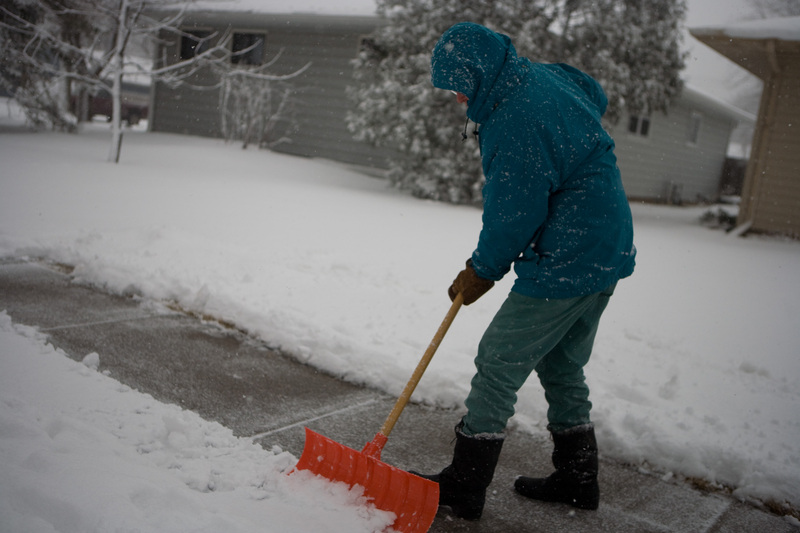 Do you own a snow blower? If so, what kind – gas, electric or hybrid? I’m participating in a Snow Joe review program and received product in exchange for my thoughts. All thoughts are 100% my own.